GLFF Update: And Then There Were 18: We’re pleased to welcome two more participants in the first annual Global Labor Film Festival: Labor Goes to the Movies (which is showing My Son the Fanatic) in New York City and the Progressive Film Club (which is showing the terrific new Ken Loach film The Angel’s Share) in Dublin, Ireland, bringing our total to an impressive 18! Big shout-out to London Labour Film Festival director Anna Burton whose “First Global Labor Film Festival Launches on May Day” column adapted our press release for the TUC’s blog and used the GLFF logo, linked to the GLFF, our list of labor film festivals, and of course the London Labour Film Festival’s GLFF screenings later this week. 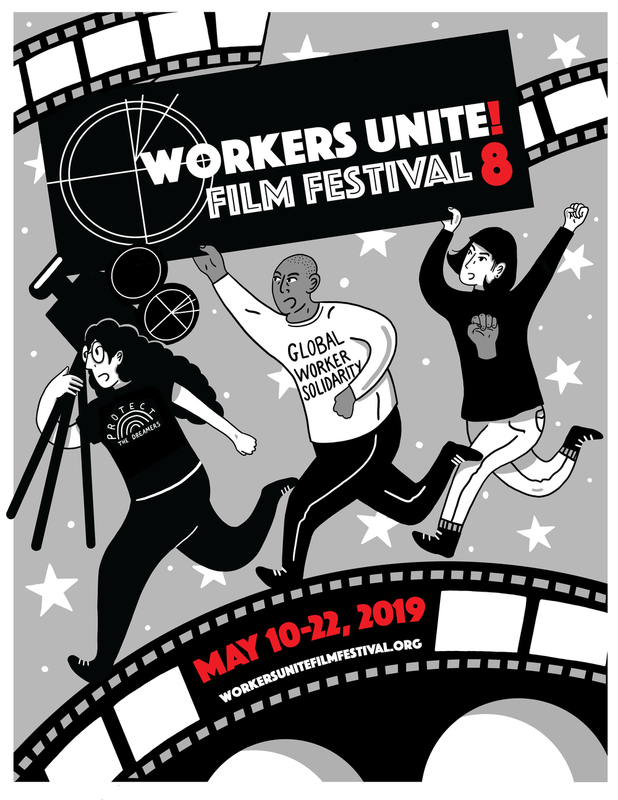 The AFL-CIO Now blog also ran a report on GLFF on April 19, generating inquiries from across the country about organizing labor film festivals. Labor Film Festivals List Updated: With some labor film festivals coming up in May, schedules have been released so we’ve been busy updating our Current Labor Film Festivals list. Updates include the Australian International Labour Film Festival, which has an exciting program scheduled for May 4 in Wollongong; the WWMP/COSATU Labour Film Festival, which has an impressive line-up of films showing in 11 centres and townships nationwide from April 24 through May 22; as well as the Progressive Film Club in Dublin and Labor Goes to the Movies in New York City, both mentioned above. Another new addition is the Bristol Radical Film Festival in Bristol, South West England, which runs its main program in February but also does screenings during the rest of the year.